We specialize in Shipping between Hawaii and the mainland so you do not have to! When renting a U-Haul and driving your belongings where you need to go is not an option, what do you do? How do you get your car across an ocean? The geographical and logistical challenges of moving to or from Hawaii means that partnering with the right moving company is critical to the success of your move. Our team of experts have been trusted for the past 17 years transporting our clients’ most valuable possessions between Hawaii and the Mainland, giving us the unique expertise necessary to ensure that your move is planned and executed on time and within budget. Consolidation shipping allows you to pay for only the space that use on shipping container, saving you money by allowing you to split the cost and container with another HI Shippers client. No shipment or move is too small with our consolidation shipping options! As a leader in shipping between HI and the continental US, we are ready to take on your large projects that require the use of a full container or more. We have built a network of professionals that allow us to offer frequent departures at the most competitive rates! 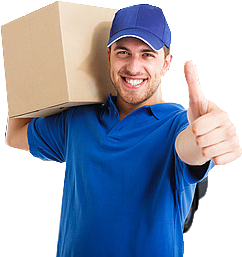 HI Shippers can safely get anything from your pick up to your drop-off. We have delicately moved baby grand pianos, invaluable art collections, precious china, automobiles, boats- and just about everything in between. No job is too strange for us to consider! With 17 years serving the Hawaiian islands, we have built a reputation as being honest, fair, and reliable. Our goal is to not only earn your business, but to earn your trust! We are your one-stop shop for all your Hawaiian shipping and moving needs – from carefully packing your shipment to the final delivery, we have you covered every step of the way! Our expertise on island shipping and moving allows us to plan your move with minimal transit time and handling. We are so confident, we even offer guaranteed pickup and delivery dates! Responsive, courteous, and knowledgeable team. Hawaiian Shippers has trained and built a team of professionals that are friendly, highly skilled, and dedicated to making sure that your move runs smooth, on time, and within budget! As Hawaiian Island leaders in moving, we have the resources and knowledge necessary to navigate through the complicated process of shipping between HI and the continental US. We have overseen countless shipments though the ports over the years and have the relationships to offer you full or partial container shipping, frequent port departure times, and the most direct routes to get your belongings where they need to go – ultimately saving you time and money! Set up a no-cost, no-obligation consultations with one of moving coordinators to find out how Hawaiian Shippers can take the stress out of your move to or from the island! When you can’t drive your car to your new home, how do you get it there? Moving a vehicle to or from the island adds a layer of regulations, declarations, and documentation to take care of. When you partner with HI Shippers, you are gaining a team of experts that will guide you through the entire process, ensure that all of your documentation is in order and that your vehicle arrives safely, on schedule, and within budget. Call one of our friendly staff today to find out how Hawaiian Shippers can get you driving after your move! Do they make boxes for pianos? Or Refrigerators? What about big screen TVs or Xerox machines? We know that not all of your belongings are going to fit neatly into a box. For these items, we create custom crates, built to fit your items perfectly to protect them from damage during transit. We can safely pack anything you can imagine- and after countless moves, we have! Give us a call today to learn more about protecting your belongings when moving between the HI and the mainland.